Dr. Remi Alapo | Institute for Peace and Leadership, Inc.
Remi Alapo (“Dr. Remi”) received her Doctorate from the University of Phoenix, Arizona in Organizational Management and Leadership in February 2011. She received an MA in African Studies in August 2007 from the State University of New York in Albany where she also received her BA in French with minors in Political Science and Africana Studies in 1997. Her research interests include international and cross-cultural management issues in Africa and other regions, especially with women’s leadership. Specifically, she has research projects on gender, decision-making, and emerging leader’s perspectives on management geography, especially in areas of how national culture affects leaders’ abilities to manage cross-culturally in international organizations. Dr. Remi previously taught Business Ethics and Social Responsibility while also working with start-up business leaders in Port–Au-Prince and Jeremie, Haiti from 2007-2009 as part of a Service-Learning mission work with Haitian Partners for Christian Development (HPCD). 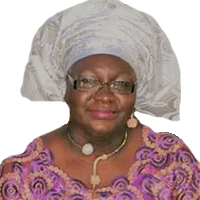 Originally from Nigeria, Dr. Remi serves as an NGO United Nations Representative for the Women’s Consortium of Nigeria (WOCON) and as a member of the African Women’s Caucus of the Commission of the Status of Women (CSW) at the UN. A former member of the NGO Working Group on Women, Peace and Security – which monitored the UNSC Res. 1325 by UN member states. She is also the Young Professionals coordinator for the Womens’ Federation for World Peace (WFWP), New York Metro chapter. In the spring of 2016, Dr. Remi published her first book on culture, women and leadership titled “Generation X: The Role of Culture on the Leadership Styles of Women in Leadership Positions”. Her second book titled “I Am A Leader: Understanding My leadership Styles” is a workbook on Gender and Leadership; scheduled to be released summer 2017. Dr. Remi is a certified Laughter Yoga teacher and trainer with Laughter Yoga International. Besides being awarded as an Ambassador for Peace with the Universal Peace Federation, USA, Dr. Remi has received such awards as a Global Inter religious Ambassador by Global Education for All Initiatives, Nigeria, A Lotus of World Peace, by the World Yoga Community and Excellence in Interfaith Leadership Award by the International Gurukula Community, Inc. for her work on world peace and interfaith peace building. Dr. Remi is working on completing requirements for a Ministry in Religious Education and social justice with a specialization in Interfaith Peace-Building from the Unification Theological Seminary (UTS- The Interfaith Seminary), New York. She previously worked for the Seminary as the Assistant Director for Recruitment and Interfaith Development.